This blog entry will discuss the action by a group of Panamanians and friends who participated at Toronto’s International Women’s Day on Saturday March 11th, 2017. The Abya Yala populations coming from the South make up 1.2% of the total Canadian population. In Toronto, as per the 2011 census, there are less than 2,500 Panamanians in a city of over 2.6 million people. The first Panamanian immigrants came to Canada as refugees between 1987 and 1989, landing in Montreal, Toronto, Vancouver and Ottawa fleeing state repression. This is not only the history of Panamanian immigrants but those of other Abya Yala communities in Canada including, Chileans, Nicaraguans and Salvadorians to name a few. People of this generation, or with parents from this era, are fully aware of the challenges and barriers that refugee families faced as they settled in their new homes – similar to what Syrian refugees in Canada are currently experiencing. Why do we bring this up? Because in the spirit of International Women’s Day, it is critical to build global solidarities as a strategy advocated by a number of activists such as Angela Davis, Nelson Mandela, Che Guevara and Berta Cáceres, to name a few, to stand against the extraordinary challenges emerging out of advanced capitalism, neoliberalism, colonialism, racism, and systems of oppression. Displacement, dispossession and state violence, are just some of the historical realities and memories that the Southern Abya Yala communities in Canada are familiar with. While we do not suggest or even try to attempt at making a comparison with the 500 years of colonial terror experienced by Indigenous Nations in what today we call the Republic of Panama, we sympathize with Ngäbe-Buglé Peoples. We too were forced to flee our homes, and through our immigration experiences, we have gained a small but profound glimpse into the current struggles against Barro Blanco, and we share Ngäbe-Buglé’s pain and righteous anger. Over the past five years, some of us have been following news of the class coalition movement among campesinos, workers and Ngäbe-Buglé Peoples that resisted Toronto’s Inmet Mining in Cerro Colorado, and Vancouver-based Petaquilla Minerals in Coclesito. Through this, and discussions among ourselves, we became aware of Barro Blanco, and for years even the most militant activist among us just helplessly watched. Through the teachings of Indigenous Nations of Turtle Island – an education that we’ve had to actively seek out as young adults as it continues to be denied in the Canadian school systems, we have learned the importance of Indigenous histories beyond oppressive and racist depiction of Indigenous Peoples. There’s almost a complete erasure of Indigenous epistemologies, histories, cultures, traditions, languages, and perspectives in the current Euro-centric colonial education. 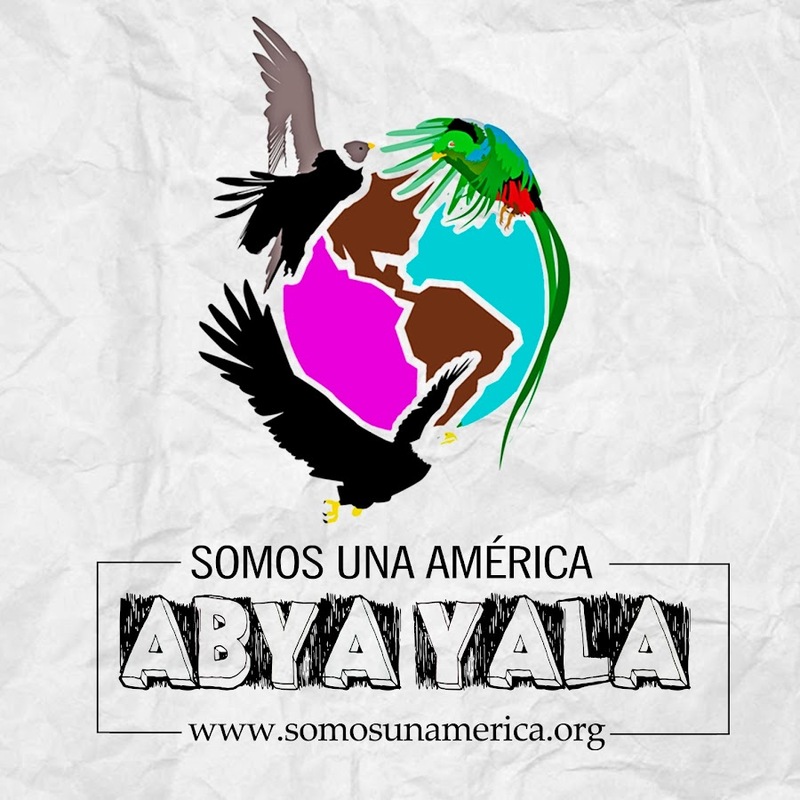 This is not merely a coincidence or an oversight; the active invisibilization of Indigenous Peoples is part of the colonial and imperial project, not just in Turtle Island but across Abya Yala. Because the Panamanian-Canadian community is small, the discriminatory tensions that tend to divide us back home go out the window. This is not to say that we don’t recognize our differences, privileges, and identities. However, divisive politics is not something that we are interested in, rather we came together to stand in international solidarity with Ngäbe-Buglé Peoples in the same way that we support Indigenous People’s autonomy and recognition in Canada – the land of over 600 First Nations, Inuit and Métis. Canada too is on stolen land and most of our economy is dependent on the exploitation of natural resources with little to no regard by governments and companies of what this means for Indigenous Peoples, Nature, The Constitution, Treaty Agreements, and the cosmic visions of life. On March 11, a group of 10 Panamanians and their friends rallied and marched with signs in solidarity with Ngäbe-Buglé Peoples’ struggles among a wave of 10,000 people. While many Canadians are aware of Indigenous issues in Turtle Island, many have never even heard of Ngäbe-Buglé Peoples. Most Canadians associate Panama with a beach holiday vacation, the Canal, Noriega, and many just have no idea where or what Panama is. We marched with a wider group of Abya Yala organizations including Mujer and the Latin American and Caribbean Solidarity Network, and connected with activists against the Dakota Access Pipeline and Mapuche women from the Women’s Coordinating Committee for a Free Wallmapu. Through this organizing process, we had the honour of connecting with Ricardo Miranda of the cultural community of Kiad located in the Ngäbe-Buglé reserve, and the leader of the liberation movement, Movimiento 10 de Abril, who supported our efforts and fueled us forward. We received positive responses on social media from a number of people including Canadians, Indigenous and non-Indigenous Panamanians. This exercise was a form of interruption to start generating radical consciousness among friends and ourselves but most importantly, we wanted to show support to the movements protecting the Tabasará River. I urge Panamanians in Canada and in the United States to stand in solidarity with Ngäbe-Buglé Peoples who fight, protect and care for Madre Tierra that has given life to our ancestors, communities and families. With the same spirit that we support the efforts of Indigenous movements that mobilize(d) around the Missing and Murdered Indigenous Women, Idle No More, Truth and Reconciliation efforts, and Standing Rock, we have a collective responsibility to Ngäbe-Buglé Peoples as guardians of our homeland. Labouring for change, equality and recognition beyond the confines of a colonial state cannot be left in the hands of Indigenous Peoples alone. You too have a meaning role to play. Vamos! El pueblo Ngäbe is in our hearts. We must build bridges not dam walls! Esta lucha no es de uno, esta lucha es de todos!